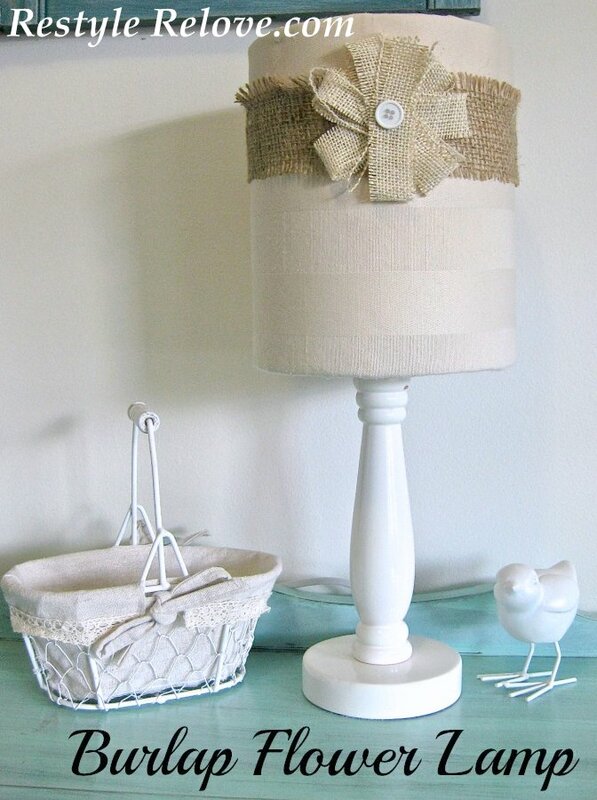 I'm still working on my daughter's bedroom walls installing the board and battens, and doing some other smaller projects in between like this cute little Burlap Flower bedside lamp. 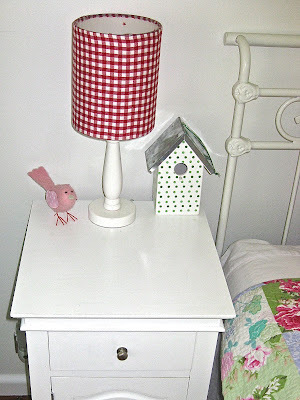 I'd previously recovered it with red and white check fabric, but that wouldn't go with her new more neutral toned room. 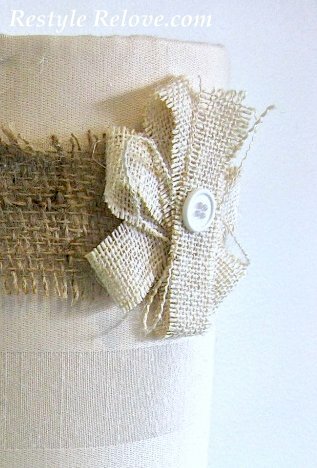 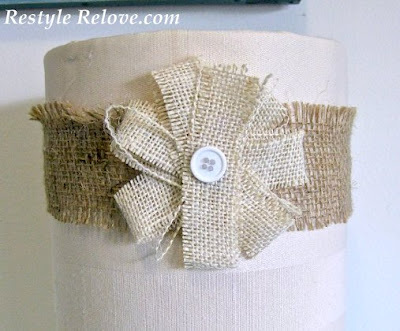 I had already made the little burlap button centre flower, and I had some darker burlap in my fabric collection. So I cut a strip to wrap around the lamp and then added the flower. So with a little hot glue and some left over fabrics I was able to create a whole new look for this sweet little girl's lamp. 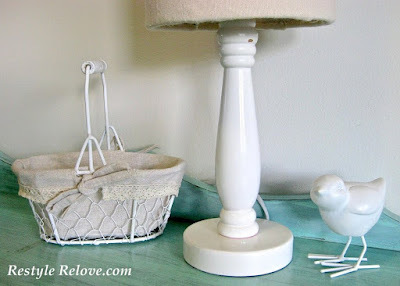 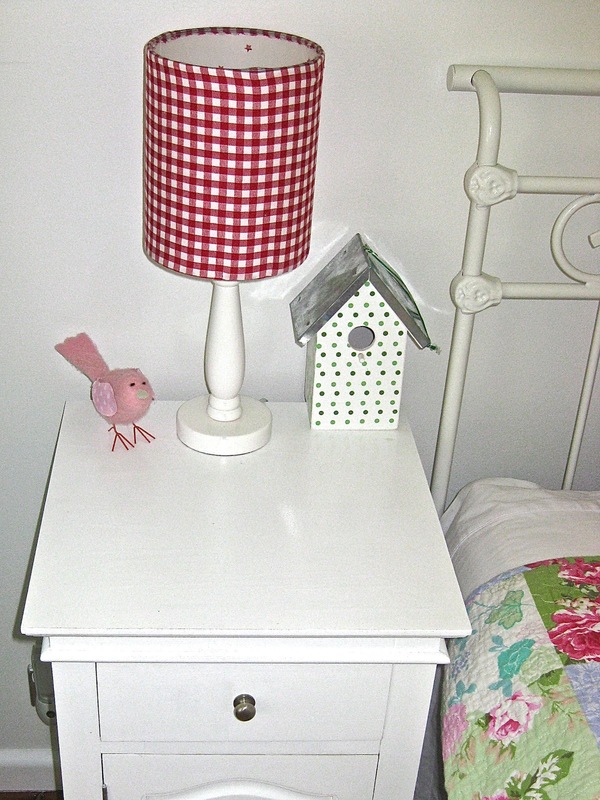 Plus, I was pleased to find this cute little white wire basket for the bargain price of 50 cents to add to her room!